The words senile cat and cat dementia can be scary. 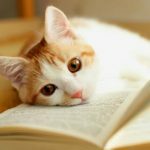 In this article vet Eman Magdi explains what happens when elderly cats suffer from cognitive dysfunction and how you can help your senile cat continue to enjoy life. 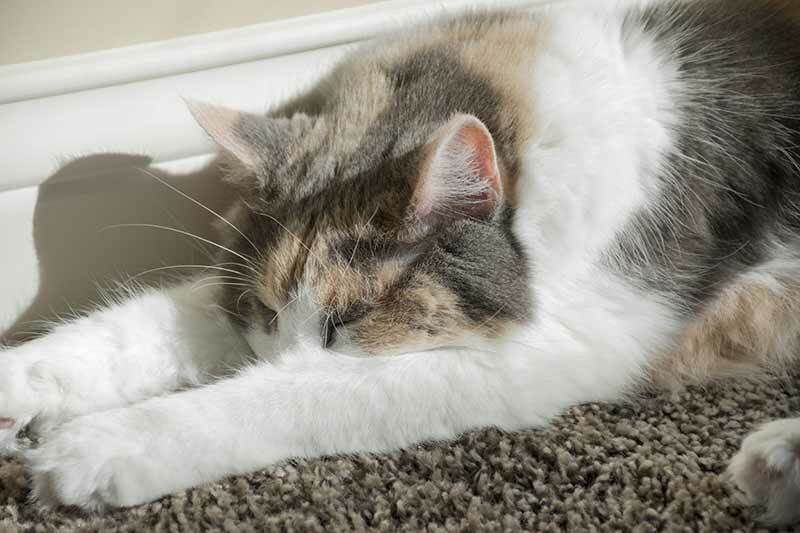 Whether your cat is turning lethargic or missing the litter tray, old age might not be the only culprit. Like humans, senile cats can show signs of cognitive dysfunction and dementia. Signs of cat dementia can vary. From being puzzled and disoriented, to lacking interest in playing or sleeping for long hours. If you are thinking, “As in Alzheimer’s?” I’m afraid the answer is yes! 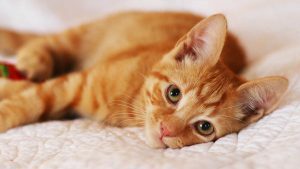 New studies at Universities of Edinburgh, St. Andrews, Bristol and California suggested that a certain protein has been found to accumulate in a cat’s nervous system. The accumulation further worsens a cat’s cognitive abilities. 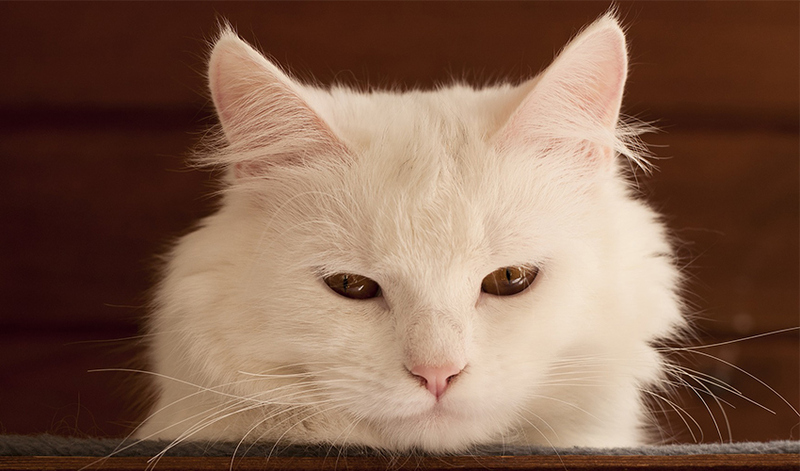 Cat dementia is also known as Cognitive Dysfunction Syndrome. It tends to happen predominantly in elderly cats. Amyloid plaques, proteins that build up in or around nerve cells, have been found to lead to difficult learning ability and impaired vision. Does my cat have dementia? Only a qualified veterinarian can tell you whether or not your cat definitely has dementia. Is Your Cat Drinking Too Much Water? But many older cats will have some degree of senility. The Ohio State University’s College of Veterinary Medicine, cited a study done by Moffat & Landsberg as saying that an estimated 28% of cats between the age of 11 and 14 have shown at least one sign of dementia. However, over 50% of cats aged 15 or more have been found to show signs of dementia. Akin to Alzheimer’s in humans, Cat dementia manifests itself in behavioral symptoms at the age of 10 years and above. 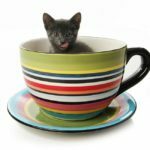 Cats with dementia show signs of straying from home, little to no interest in interacting or playing, imbalance and disorientation, staring at empty spaces, sleeping for longer hours per day, howling at night and peeing and defecating out of the litter box. Additionally, vision and hearing are impacted, and navigation around objects is heavily affected. A drop in energy, grooming, appetite and response to people or other cats was noticeable. Cats suffering from dementia showed signs of restlessness, anxiety and depression. A proper diagnosis should be only given by a qualified veterinary practitioner. 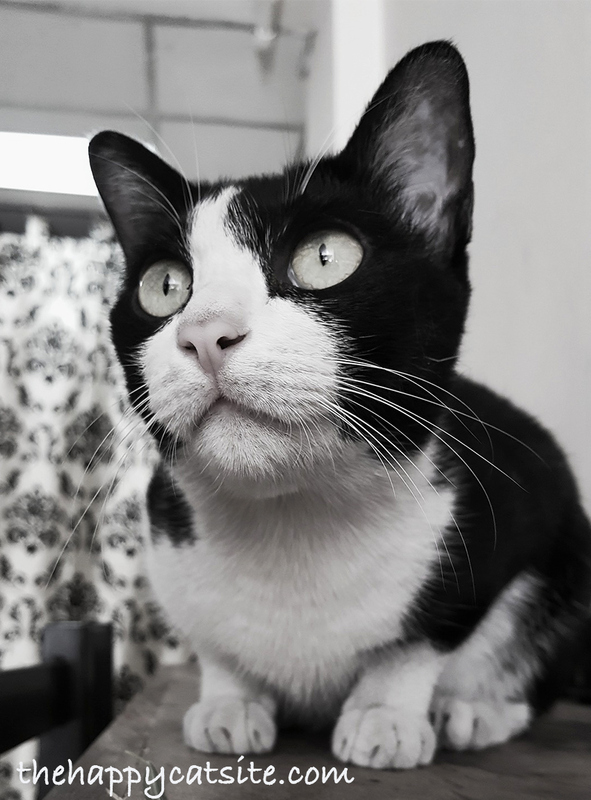 Signs would be the first indicative way to diagnose dementia in senile cats, given all behavioral changes attributed to other diseases are eliminated, Bolter, Helen said. This makes dementia’s identification a diagnosis of exclusion; through which all other causes can be eliminated by running blood, urine and other tests. Upon spotting these symptoms, a qualified veterinarian should see and diligently diagnose the cat. Because dementia is usually so advanced by the time a cat is brought in to the vet’s office, there is not a concrete treatment for it. However, there are methods that have been proven to delay the advancement of the disease. Changes in food regimen to include vitamins E and C, and antioxidants such as flavonoids and carotenoids which can be found in fruits and vegetables showed progress. L-carnitine was found to enhance mitochondrial performance, and omega-3 fatty acids boost cell membranes’ efficacy. As such, dietary supplements can be as helpful. As for learning and memory functions, exercise and introducing new learning skills seemed to have a noticeable impact. 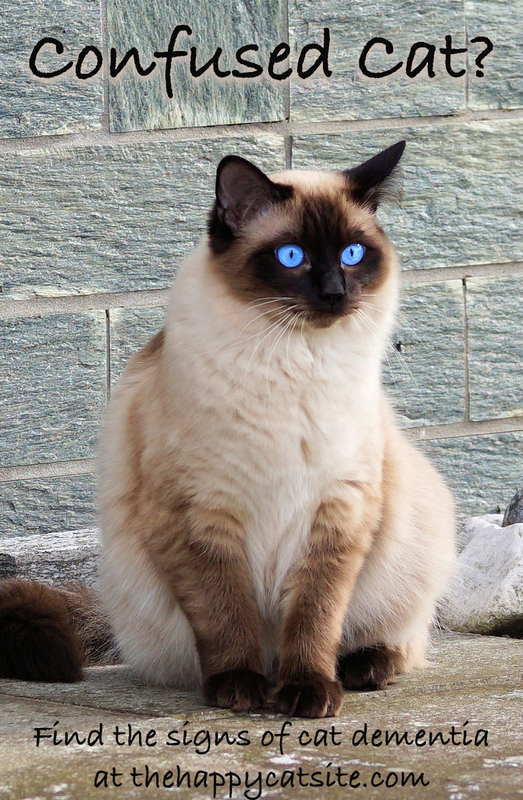 Psychoactive drugs containing the active ingredient, selegiline, were recommended and approved by The American Association of Feline Practitioners for cats with dementia, provided a veterinarian diagnoses dementia and does the necessary tests to eliminate any drug interactions between selegiline and other medications. 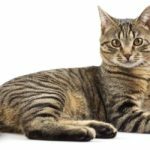 Prognosis: what will happen to my cat? Dementia is a progressive disease and while it cannot be cured, there are steps you can take to keep your cat happy and safe. In cases where severe signs of dementia can be seen in cats, any change in environment or habits can lead to more stress. Stress in itself can manifest itself in even more severe signs of dementia such as complete lack of appetite and anorexia, state Houpt, K A and Beaver, B, 1981. How To Take Care of Your Senile Cat with Dementia? Along with the dietary supplements, medical care and environmental adjustment, cat owners should be aware of the progression of dementia. The more progressive dementia is, the more stressed a cat can be due to changes in diets, surroundings or activities. Gunn-Moore, Danielle, 2014 recommended keeping change to the bare minimum or at a gradual pace to build trust. In some cases, Gunn-Moore recommended the confinement of a cat with dementia in one single space or room. Together with everything he or she needs in the way of bedding, water, litter box etc. Although this might seem unkind, it can actually help your cat to avoid unnecessary stress and to stay happy. 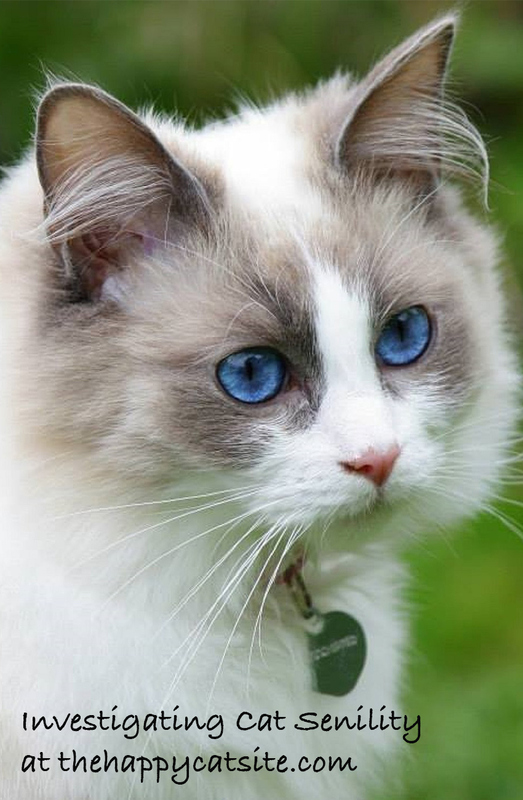 Signs and symptoms of dementia in cats over the age of fifteen year are common. 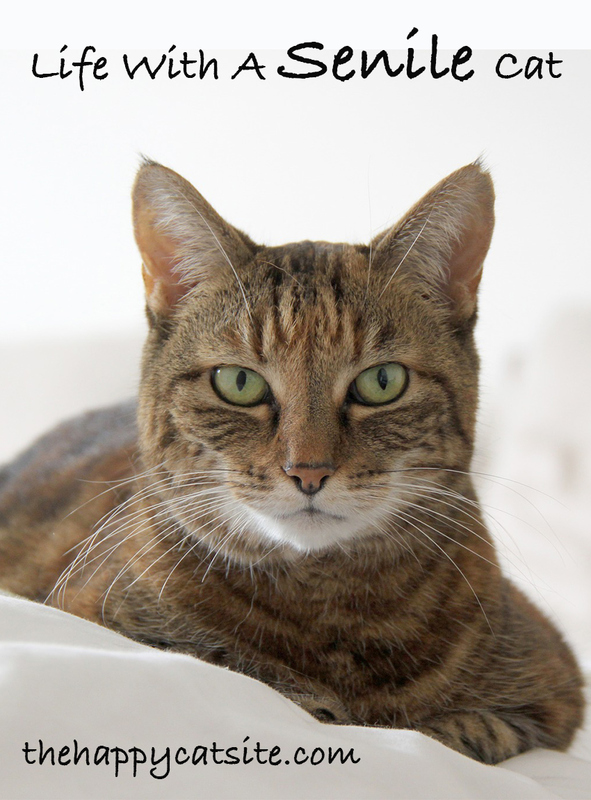 Though our cats live longer nowadays than they used to, senility and dementia signs will show as our cats age, yet there are ways to make sure they live a happy, comfortable and long life in a loving and considerate home. We wish you all the best of luck in caring for your cat with dementia. If you have any tips or suggestions of ways you have kept your senile cat comfortable, why not let us know in the comments section below. 2006. Feline form of Alzheimer’s. University of St Andrews. Bolter, H. 2016. Cognitive dysfunction syndrome. How to help older cats with dementia. VETcpd – Feline. Cognitive Disfunction In Cats. Cornell Feline Health Center. Cognitive Dysfunction Syndrome. Ohio State University. I know you love your cat. But you need to ask yourself if your cat is getting the best quality of life here. She may be suffering and in that case the best and most humane thing to do would be to put her to sleep. I struggle ever day wondering if my boy cat is suffering. He has dementia for sure. He’s almost completely deaf and seems to have compromised sight. He’s on meds 3 times daily for arthritis and I’m almost positive that without them his restlessness and repeated behaviors would be much worse. The only time he looks happy is when he finally goes into a deep sleep for a few hours. If I was convinced he has little quality of life I, of course, would have to make that hideous decision but he purrs when cuddled and enjoys his food when he remembers he’s hungry! He stills cleans himself – not as fastidiously as he used to and still even ventures out occasionally. I’ve had cats all my life but have never experienced such a upsetting dilemma. It makes me very very sad and any help or some suggestions would be SO welcome. My boy kitty is 21 and certainly has dementia as well. He didn’t come in in a torrential all day rain, blessed with a neighbor who brought him home. He’s skin and bones, and is now an indoor kitty. We live in an area with much snow and cold to come. So, he, too purrs and likes his food. And that is about it. This is a gut wrenching decision. Ask yourself, as I am, is he comfortable? Are YOU comfortable? Only you can answer the “is it time” question. But he will help you, by his behavior. Good luck to you and kitty. Dave, thank you for the story. That is very encouraging. I noticed my cat not eating last night but staring down at her food bowls. So I took first the bowl of water and held it up to her and she drank a lot. Then I held her food bowl up and she ate. Soon I moved her bowls to a crate that was the same height next to where she has been sitting. She ate throughout the night. Very encouraging! Thank you Dave for sharing your story❣️ My Princess is 11 or 12. She looks great! Eats well! I’ve always fed her grain free!NO cheap food for the Princess💖 She Sleeps So Much tho 🙁 I hope to have her for many more years. I lost my Love bird at 21 years old…Princess and I miss her so much 🙁 Loosing Princess would be awful! Dave, I read your story and I am impressed by what you have done to give Mr. Kitty such a good quality of life, including finding a way to get him to eat vs putting him down. A last minute effort proved to give Mr. Kitty a good life. I am dealing with same my Maggie to be 15 on 4/1 (april fools kitty) has kidney failure, which fast forwarded a neurological movement disorder, and now she is getting dementia as well. I am making adjustments as needed she is my baby and she is in no pain, has quality life and I will do what I can to keep her healthy & happy and she is just has physical issues and now dementia (beginning). Prior to getting dementia I was able to teach her to walk up stairs to bed as she was no longer able to get in herself.. oddly she can do that still.. Most persistant cat I have ever encountered. She was shelter adopted and later found out she part Bengal which explained a lot.. I loved your story.. Gives me hope for a bright future for my Maggie.. Thanks for sharing..
My Siamese is 18 at least (shelter cat). The vet has ruled out everything but dementia and she has multiple symptoms. Thankfully she still uses the litter box. But I have to move in a few days and I’m wondering, after reading all this, that she may get more confused. I’ve already had to remind her where her food and water is. I have been able to get her to eat “Senior Delectables stew”, so she’s gaining weight back. When I move, I normally put all her comfort things in a small room and a sign on that door not to go in there. But I’m sure she’lol freak out a bit. So I’m so sad knowing this is only going to get worse. It breaks my heart! At my new place, I’ll be with her more often during the day. And when they are meowing at night, do we get up and comfort? We just got the diagnosis that our boy, nearly 14, is early stage dementia. I’ve had this before which is why l recognised it early – no real loss of appetite, no lack of grooming, no toilet issues; but l know what’s coming and my partner and l will sit down and decide at which point we will say goodbye before it happens. lt’s obvious that you all love and adore your cats very very much, but l have to ask, are you keeping them alive for you or for them? 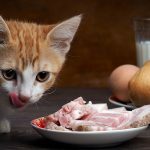 l don’t mean to be offensive – though it probably is coming across that way – but if your cat can barely eat, barely walk, cannot groom or toilet tproperly, is the fact they purr when they do eat and fall asleep enough? You know them better than anyone. All those years of being vital, funny, active, scallywags ruling the roost and making your life better in a million diffetent ways. Do you honestly see that cat now? Or do you see a cat who has lived a wonderful life, tired and in need of rest? lt’s awful making that decision – l know, and l’m crying as l write this; but if you’re wondering if it’s the right thing to do then it almost certainly is. We just don’t want it to be. It’s not about us though, it’s about them. And it’s not fair to keep making their world smaller and smaller as they get sicker and sicker. Let them go. They’ll be at peace and you will be too. I don’t know if there is a heaven or whatever, but l do know there is a cat heaven where all my beautiful cats are waiting for me, happy and healthy. Thank you all for sharing. It’s really appreciated. One of our cats–he’s nearing 14– seems to be acting strangely, so we are going to have him tested. BUT, we have 3 cats–all out door– and so other than the howling in the night, the wandering around at our feet, and his weight loss, he seems ok. Eats, uses the box, will still chase a string, cuddles in our arms. Any suggestions on how to proceed with the 3 of them to monitor? He has also taken to jumping up on the kitchen table and counter. Well wishes to you all and your beloved pets. My cat is 18 years old and has been with me since the day she was born in my childhood closet. She started crying at night when we moved to our new apartment 2 years ago. She started showing more signs of dysfunction slowly and was eventually diagnosed with hyperthyroid and kidney disease. She was put on a special diet but eventually refused to eat it for 5 days until I remedied the situation with fancy feast which she eats freely now. My vet and I are not looking to cure her, but to manage her symptoms. During the day she is her usual sweet self, if a bit less playful. Walks, eat, drinks, uses the toilet properly, roams around our three story home. It is certainly too soon in this process to have her killed. However, at night, she becomes a bit agitated. I bring her into my bedroom at night now and she does not cry anymore. I have food and water in here which she consumes well. I have made her a nice bed next to mine that she likes and i can see her when she is sleeping. I use doggy training pads instead of a litter box in here because she gets confused and wanders around when she has to go but this has seemed to work. She uses the pads! Having a few out at night is good because she is awake and will go more than once. She still has her regular litter box in the same place outside my room. I’m wondering if there is anything else i can do to help her get through the nights. Though she doesn’t cry she seems agitated nearly the moment the sun sets. Last night she got herself caught on the desk chair by the paw so it looks like i am going to have to cut her nails, which i have never done before, but i dont think will be too difficult as she lets me handle her paws happily. Any other ideas for keeping her calm at night??? Should I leave music or radio playing? Certain scents that might be calming? Lighting changes? She currently takes cerenia, methimazole, and gabapentin. Thank you so much.